65 percent of a company’s new business comes from referrals. Customers are four times more likely to try a new business or product when referred by a friend. A referred customer is 18 percent more loyal than customers gained through other means. A referred customer spends nearly 13 percent more on average than a non-referred customer. Offering a reward increases the chances of a referral. However, the size of that award does not make a difference. 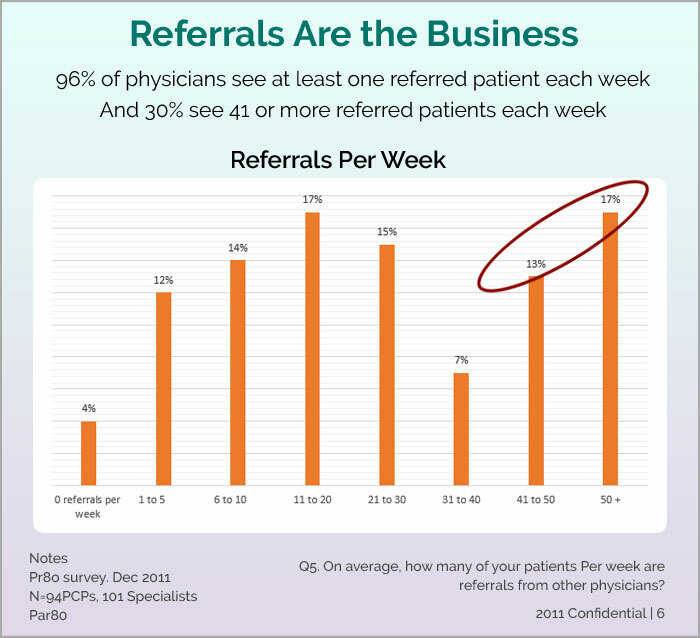 Patient referrals are necessary for growing your medical practice and expanding your patient base, and you should take advantage that. While a significant percentage of patients are empowered to find their own doctors, there is still great power behind a personal recommendation for a specialist from a trusted friend or family member. This is why building a base of patients who are happy to give you referrals is a great way to market your practice. Answer phone calls: Answering phone calls should be your first priority, especially when you are looking for strategic ways to generate them. The calls should be responded to in a friendly yet professional manner. Keep a reference sheet handy with answers to common questions, including office location, insurance lists and general information about services. Value patients’ time: After the first phone call, the patient’s first appointment is the next challenge. Reversing the first impression is hard. Make sure patients have an easy time finding your office location and parking. Once the patient arrives, simplify the registration process by limiting the paperwork or offering a simple online registration process. Patients should know in advance what paperwork will be required, and insurance should be confirmed beforehand. Most of this information should be available on your website. People notice and appreciate your efforts when you value their time. Make patients feel comfortable: Do not make your patients feel like they could get the same or better experience elsewhere. 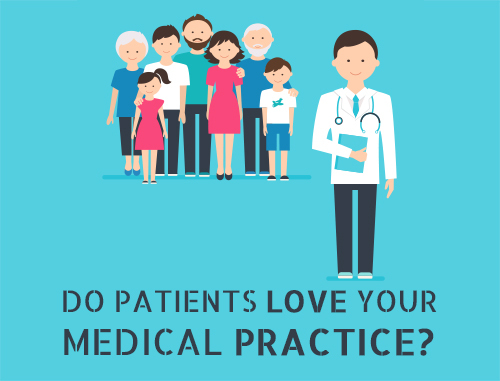 Instead, your staff must make an effort to treat patients as part of your practice family. When a patient comes to the reception desk to check in, greet him or her with a smile and call his or her by name. The way you treat your patients during their time in your office is what will help them decide whether to return. Spruce up your waiting area: While you should aim to minimize the amount of time patients spend in the waiting area, make those few minutes comfortable and soothing. Make sure patients have ample and comfortable seating and have something pleasant to look at, such as a painting or a photograph. Marketing materials are okay as long as they are useful and not overly promotional. Create a ‘New Patient Guide’ for your staff. Implement and maintain a certain standard of excellence when it comes to patient care. Make appointment scheduling easy. Set up automated appointment reminders. Provide relevant and regular training to your staff on key aspects of patient care and crisis management. Make eye contact and introduce yourself: Nothing relaxes a patient better than a warm smile and a friendly gesture. When combined with eye contact, you demonstrate a sincere welcome and a willingness to resolve the patient’s problem. Pay attention to non-verbal signs: Never make your patients feel that you are disgusted by anything they tell you. Never express your personal feelings about their ailment through your body language or facial expressions. If you give the impression that you are not interested, that patient may shut down on you and may never come back. Be careful about how you act and react toward your patient. Make sure your presence adds value: While it takes the entire team to care for a patient, many patients see their time with the doctor as the biggest factor in whether they are getting their money’s worth. Be sure to take a moment to converse before jumping into the exam room. Ask questions, listen carefully, and be confident about your chairside manner. Never give patients the impression that you are rushing to get to the next waiting patient. Encourage online patient reviews: Asking patients for online reviews and thanking them for their suggestions go a long way in ensuring patient goodwill. It is critical to maintaining transparency within your practice in order to win your patients’ trust. 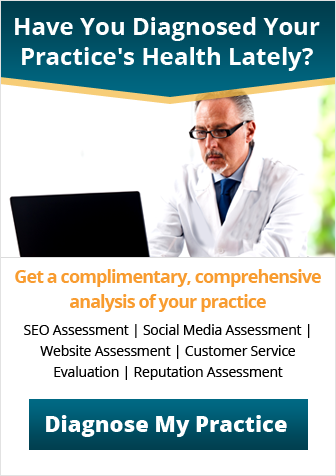 Encouraging your patients to review your practice online is another way of showing that you value their opinion and are open to taking suggestions. 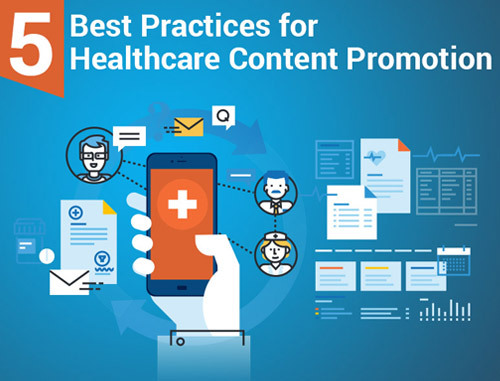 Allowing patients’ reviews and testimonials on your website or patient portal are immensely beneficial for your online reputation. Ensure checkout is quick and easy: Checkout is the last touch point in a visit, so make sure the patient leaves your practice feeling positive and taken-care-of. Guide them to the checkout area and tell them what will happen so there is no confusion. Provide patients with information that will be useful after they get home. You can consider printouts with proposed treatment plans, pre- or post-treatment instructions, etc. Do not forget to express thanks as they leave your office and tell them you look forward to seeing them again. Follow up with patients: Most doctors ask patients to follow up with them after their visit. Most patients either forget about following through, or they do not realize that the follow-up visit is a part of their healthcare plan. Having an automated system that allows you to book follow-up appointments and send reminders to patients can make this process a lot easier. A follow-up visit will ensure patients are on the right path to recovery and that they are satisfied with your care. Get suggestions and feedback: Most medical practices have a suggestion box for patients to drop in any feedback regarding their experience at your practice. You can take this process a step further by engaging with your patients via email or text messages using an automated system. You can also send a small survey after the appointment and give your patients an opportunity to provide feedback about your practice. Provide free health monitoring: Chronic illness will require you to monitor patients continually. You can do this by setting up remote monitoring plans for chronically ill patients. Remote monitoring will help patients track their progress for your review. This will also minimize the number of visits and save patients’ time, and they will greatly appreciate the convenience. 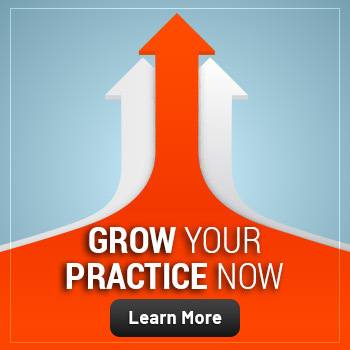 Ensure a positive patient experience: When you do your best to make sure that patients have a satisfying experience with your practice, you are not only increasing the chances that they will return, but you are also increasing the likelihood that they will refer your practice to their friends and family. When it comes to patient referrals, the difference is in the way you pamper your current patients. Keep the patient educated about their illness and treatment: Most patients look up information about their illness online, even after being diagnosed by a doctor. Rather than depending on unreliable sources of information, you should be their first choice for asking any illness-related questions. You should aim to educate your patients about their illness by using the patient portal or sharing information through mobile health apps. This will also give them another reason to recommend your practice to their friends and family. 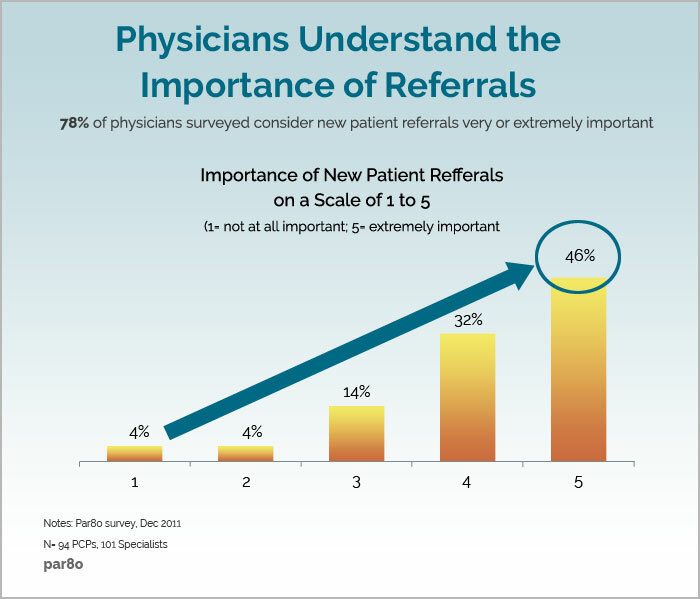 Physician outreach: In addition to recommendations from family and friends, patients take into consideration referrals made by their physicians. It is all about referral networking. 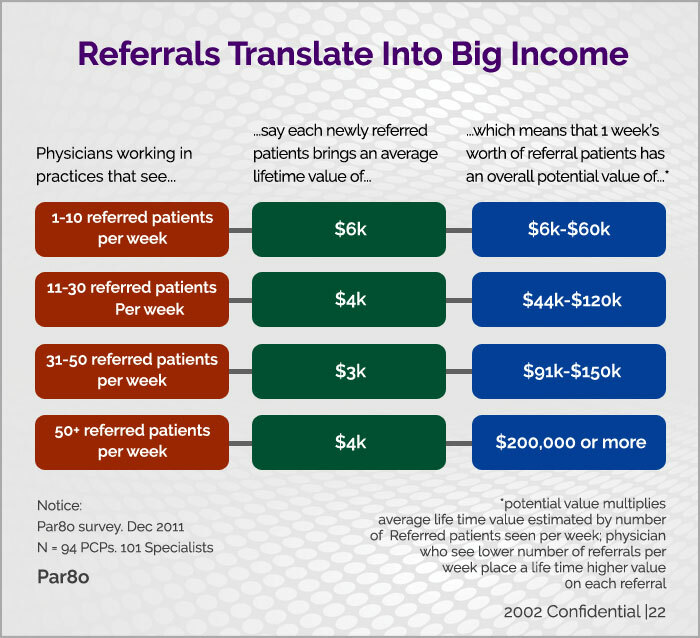 Physician referrals are an important way of gaining traffic to your practice. According to studies, six out of 10 patients choose health providers based on their location. Maintaining a healthy relationship with physicians in and around your practice can ensure better referrals. Get your staff involved: Even if you have the most modern website or an active online presence, it is essential to train your staff to listen to the needs of your patients. Front-office, nursing and support staff must empathize with patients to ensure they have the finest experience when they visit your practice. Reducing long waiting periods, automating appointment-booking and reminders, simplifying billing, supporting reimbursements and improving access to health records are some of the important aspects of medical practice management that can improve patient satisfaction and increase referrals. Honor your commitments: It is normal for medical practitioners to have unexpected changes in their schedules, be it an emergency procedure, personal reasons or a scheduling error. Always try to adhere to your schedule, but if you cannot, it is important to notify your patients in advance in order to avoid any dispute. Your patients will understand and appreciate these gestures. Provide excellent service: What will really make your patients want to refer your practice to everyone they know? Excellent service. Each new patient provides your staff with the opportunity to make a great impression. You may have great skills or graduated from a top-notch university, but if you treat your patients poorly, your referral volume will take a nose dive. Thank the referring patients and doctors: If applicable, during patients’ first visit to your practice, ask whom they were referred by. Then, be sure to thank the patient or the physician who gave that referral. Whether through an email, phone call or a handwritten personal thank-you note, it will surely make a difference. These are just a few simple patient referral tips that require a little extra work from your front office and support staff, but they can result in a significant increase in the number of patient referrals. Effective and regular communication with your referral sources is vital. If you foster healthy relationships, your referral sources will continue to send you more patients. 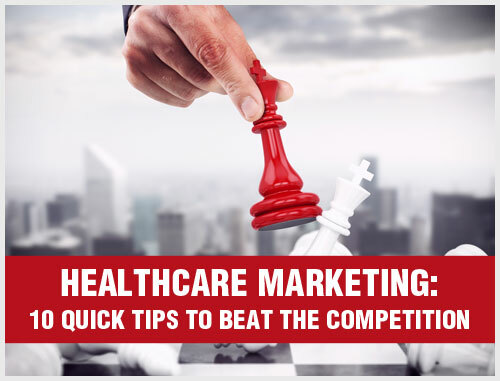 For more tips on successful patient referral marketing, read “The Ultimate Guide to Patient Referral Marketing,” and contact Practice Builders to speak with an experienced representative.